Add matching highlights to your international style with accessories that feature FlagAndMap designs. 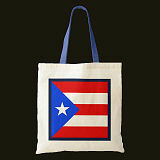 Products include bags, wallets, necklaces, keychains and buttons. Original designs incorporate national flags, country maps and other regional motifs. You can create personal gifts or promotional items at no extra cost by adding relevant text to these original designs. 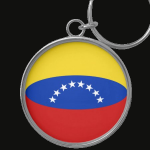 Browse Accessories - view accessories in our store by product type and nation (new window). Carry your gear in one of seven styles of bag including the budget tote, grocery tote, impulse tote and jumbo tote. 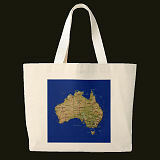 The choice of FlagAndMap designs on bags includes the elegant map and flags design or simply a national flag or map of the country. 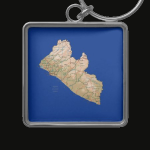 Display your national affiliation with a round or square button featuring the national flag or map of your choice. Don't forget you keys or your favorite destination. Keychains are available in basic and premium styles with round or square fobs. 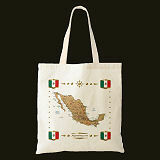 Designs includes national flags and maps. 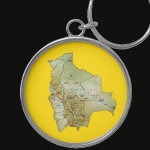 Attractive sterling silver-plated necklaces featuring a national flag or map with your loved one's name superimposed. The charm measures 3.7cm in diameter and is attached to a 46cm chain. These trifold 100% nylon wallets measure 11.5cm x 8cm closed. They contain a full-length bill pocket, two credit card pockets, and an ID card window. Current designs feature the national flag.